Replacing your kitchen cupboard door handles is a really easy and simple way to give your kitchen a facelift. For a fraction of the price and minimal effort, all you have to do is pick the door handles that will suit your kitchen, unscrew the old ones and replace them with your brand spanking new ones. If you replace your kitchen cupboard door handles regularly, then you’ve probably got a drawer full of old ones that you’re trying to find a use for. We decided to scour Pinterest for some inspiration on what to do with your old cupboard door handles, and there were some amazing ideas. 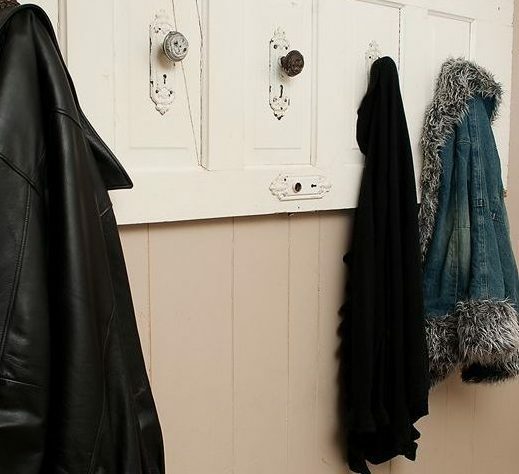 From coat racks to curtain holders, we’ve found some creative ways to recycle and repurpose your old kitchen door handles. Hanging up your coat is a great way to preserve the shape as well as keeping the buttons and other accessories attached. However, freestanding coat stands can take up a lot of space, and if you’ve got little ones running around the house, they might be at risk of knocking the coat stand over and hurting themselves. If you’ve just gone through a home renovation or have replaced some old doors then why not repaint the door, get your old cupboard and draw knobs and make a coat hanger out of it? We’re in love with this vintage looking white coat hanger! Cute accessories are a great way to add a splash of personality and flair to any home – especially if you’ve made them yourself. 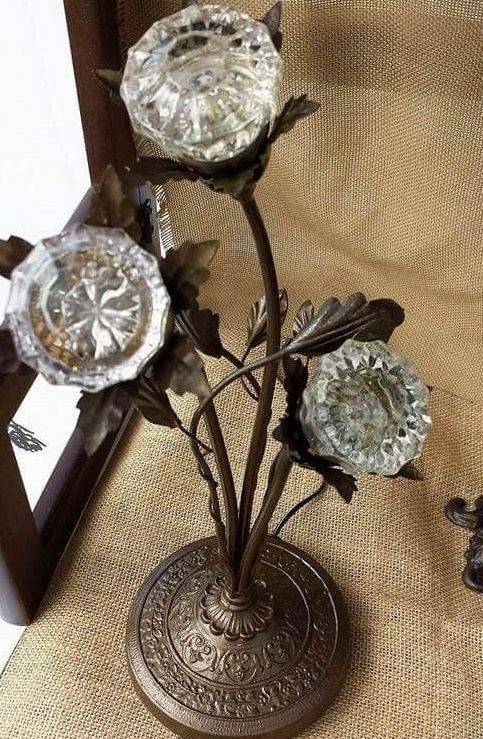 We’re in love with this kitchen door knob flower tree – the intricate detail on the dark iron base really suits the detail on the clear door knobs. 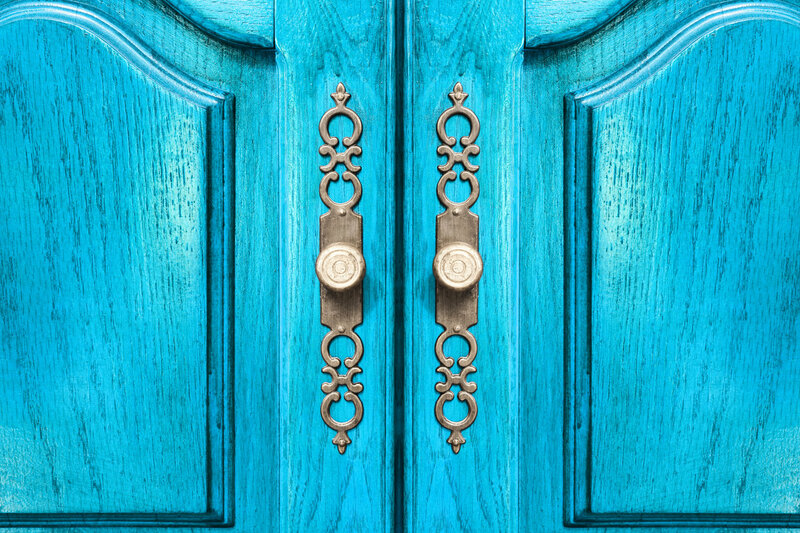 That being said, this would look really good with a splash of colour – maybe a red or purple door knob thrown into the mix! Curtain holders may not seem like an essential, but letting natural light into your house is a great way to help get rid of mould, balance temperature levels and reduce electricity bills. If you’ve got curtains that don’t sit at the site and block natural light from flooding your bedroom, living room or kitchen then grab some old kitchen door knobs and fix them into your wall. It is cost effective way to add a personal and creative touch to any room, whilst reaping the benefits of natural light! If you’re hosting a dinner party, or you’re having a DIY wedding, then why not make your own DIY door knob name place holders?! 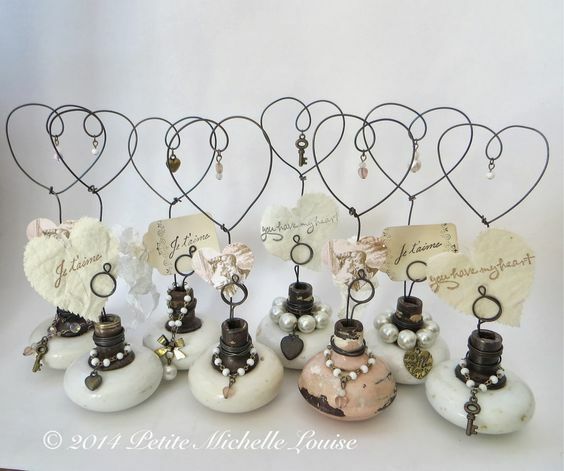 These vintage looking heart wired placeholders are adorable, and they’ll look amazing at any dinner table. The cute beaded detail around the screw of the door knob really adds to the placeholders, tying the handwriting and pastel colours together. 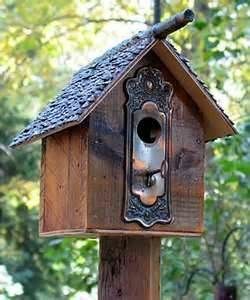 If you’re a bird lover and want to spruce your bird house up then this bird house with a door handle for an entrance is a really great way to go. The metal door handle will help with the wooden structure, and you can even play about with hinges to open and close the bird house – you will easily be able to add bird bedding for your winged patrons! We really love this idea – it reminds us of a secret garden! 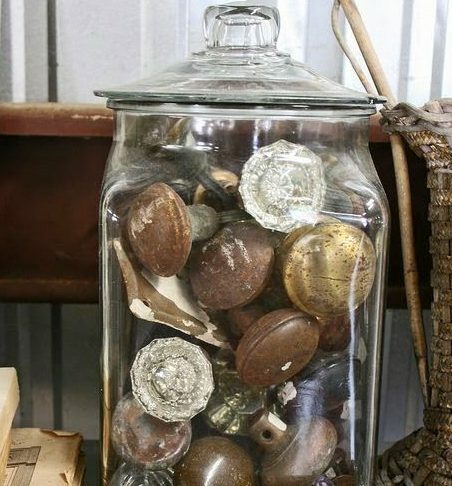 If you’re looking for a quirky centrepiece, then look no further than this jar full of door knobs. With so many different colours and textures adding depth and mystery to the jar, it is sure to turn a few heads. 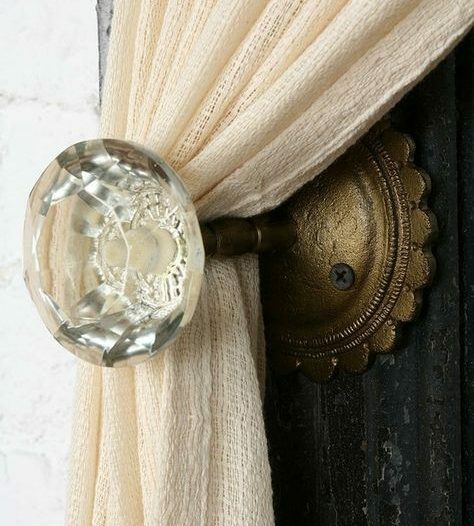 The worn gold door knob really contrasts with the clear glass, and the browns enhance the brighter tones. Add some colour, try out some textures and see where you’re at! 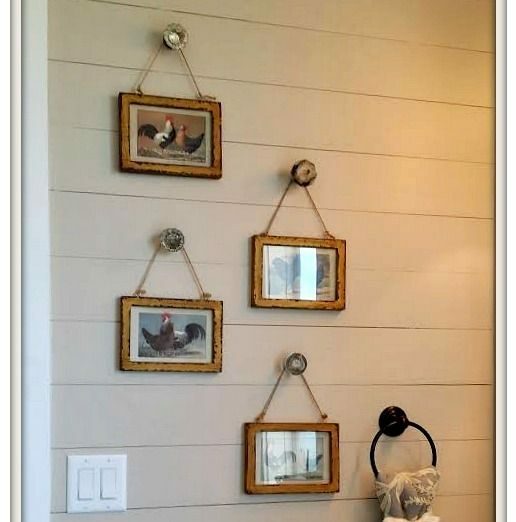 Hanging pictures around the house is a really great way to add a homely feel to any room. They showcase smiling faces, beloved pets and memories of those closest to you. Cupboard door handles are a sturdy and secure way to hang up heavy photo frames that hold sentimental value – they also add a splash of personality and are a quirky and creative way to do what everyone does! It’s amazing what a few screwdrivers, a hot glue gun, some wood and some old door handles can become. If you’ve got loads of bags that you don’t use a lot but don’t want to leave them as an afterthought in the back of your wardrobe, then why not make a bag holder? It frees up space and it will look really great in your bedroom or hallway! 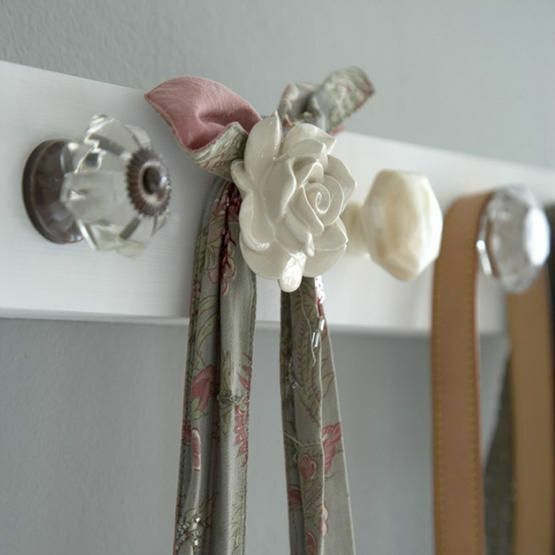 This is probably one of our favourite ways to recycle cupboard door knobs. These mushroom painted door knobs are both adorable and creative – all they require is a lick of paint! 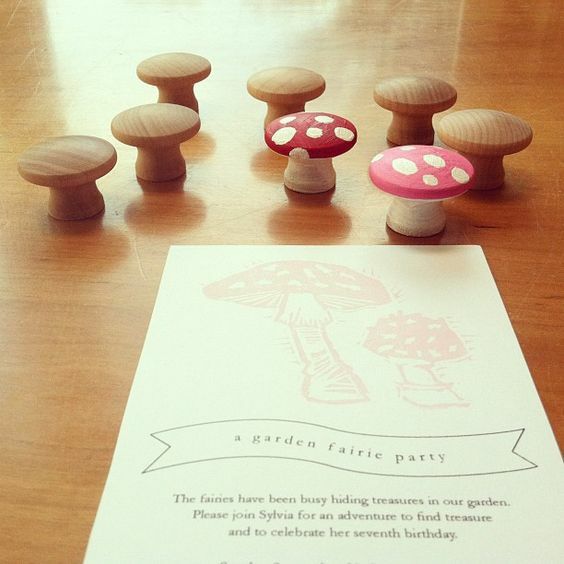 They are perfect for Garden Tea Parties, Fairy Parties or as a room decoration! You could also get you and your little ones to join in and paint some old door knobs. Tangled jewellery is the thing of nightmares – especially when chains are knotted beyond saving! This jewellery door handle holder will rid your life of any tangled necklaces and bracelets, making everything a little easier in your life. It also makes your bedroom look really quirky and cool! 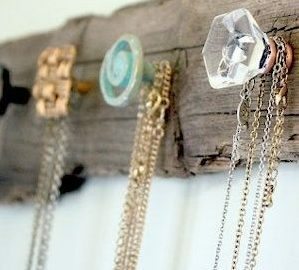 Have you got any cool ways to repurpose your old cupboard door handles? Don’t forget to add them in the comments below. If you’d like some advice on replacement kitchen cupboard door handles or bedroom door handles do not hesitate to get in touch!